The night sky is a shade of “Tiefschwarz” (deep black). Or at least it has been in Germany, Europe and the rest of the world since sometime around 1997 when brothers Ali and Basti Schwarz joined rhythmic forces. Their first venture was ‘24seven’, which firmly put the then sleepy Stuttgart on the map as a top nightlife destination. The deep house duo then debuted with their pertinently titled single ‘Music’ in 1998 and by 2001 the pair were expanding the parameters of modern dance music with their album ‘RAL9005’. Tiefschwarz quickly became a mainstay on the club scene. With the licensing of the album by Classic Recordings, Tiefschwarz captured the attention of London, paving the way for their rise to international notoriety. Through high profile remixes they have also made a name for themselves as masters of reworking other people’s tunes. Depeche Mode (‘John The Revelator’), Madonna (‘Get Together’) and Spektrum (‘Kinda New’) are just three of the many artists who have had the Tiefschwarz treatment. So that’s the background story. But the days of setting up their decks in the evening sun at the now legendary club ON-U in Stuttgart are now a distant memory for Tiefschwarz – you’re now more likely to find them in their studio in Berlin. And as it gets dark and the deep black of the night sets in, Tiefschwarz come to life – clubbing being their biggest vice, yet also their biggest strength. 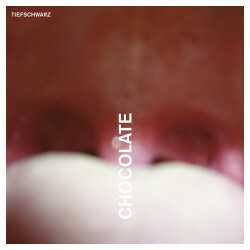 Now they’re back with their third album ‘Chocolate’, and a major leap forward for the duo: things are different now for Tiefschwarz, as this is the first release on their own label, Souvenir. Ali and Basti now have the world at their feet and are revelling in the artistic freedom that comes with their independence, as you can hear in their latest work; the tracks reflect their musical development over the last few years. Techno and house still form the foundations, yet Tiefschwarz push themselves beyond their previous limits. They’ve found a new, intrinsic sound of their own that oscillates between numerous genres – at once both clear-cut and immensely intricate. One minute the steady bass drives a dancing rhythm, the next it would have you believe that four to the floor is actually a beat based on a prime number. Ali and Basti worked with Philipp Maier, aka Santé to produce the tracks, and the new dynamic that has emerged from the collaborative production process has manifested itself in a distinct live quality. So much so that Tiefschwarz will now be performing as a live act for the first time, with Santé joining Ali and Basti to complete the live line up. Preparations for this summer’s Chocolate tour are well under way, with big ideas in the pipeline. Tiefschwarz aren’t just perfecting the art of creating their tracks live, but are also entering new territory with their plans for the use of visuals. Without wanting to give too much away, it’s safe to say that light and shadow will play a role in creating new depths within a charged and penetrating live performance. And the focus is not on two, ahem, three men with their laptops, but rather on the music itself.